If you’d like to have a composite deck installed at your home in Belleville, Illinois, the experts at Chesley Fence & Deck are here to help. We offer reliable service, premium products, and quality craftsmanship that no other company in the area can match. One of the primary benefits of turning to Chesley Fence & Deck for a composite deck is that you’ll receive one of the finest decking products on the market today. We offer a wide range of composite decking options; however, our most popular – and most recommended – is our Tamko EverGrain® Envision ® PVC coated composite. 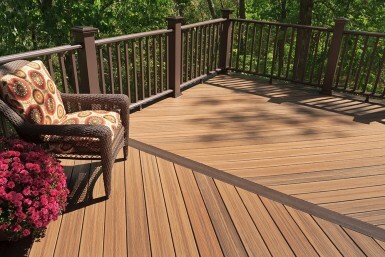 This decking offers unbeatable durability and, unlike many other materials, requires very little maintenance. In fact, you’ll never again have to worry about staining, painting, or sealing your deck. Plus, it has a beautiful, natural wood appearance and comes with a 20-year warranty to protect against fading, staining, and deterioration. 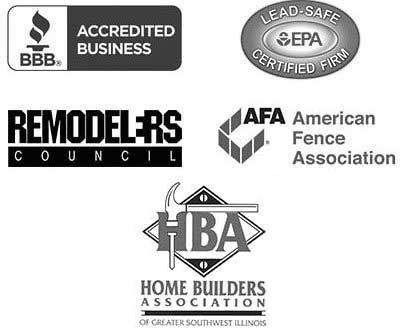 To learn more about the advantages of hiring Chesley Fence & Deck to install a composite deck on you property in Belleville, IL, contact us today.